I’m still up at nearly 1:30am but for good reason: updating my iPod with new tunes and creating a new playlist. I’m definitely a runner that gets psyched up with a good beat, so I find it helpful to try to refresh my playlist every few months. I downloaded several new additions to my playlist including some tunes from Macklemore & Ryan Lewis, Justin Bieber (yes, you heard right), Tegan and Sara, will.i.am feat. Britney, and more. 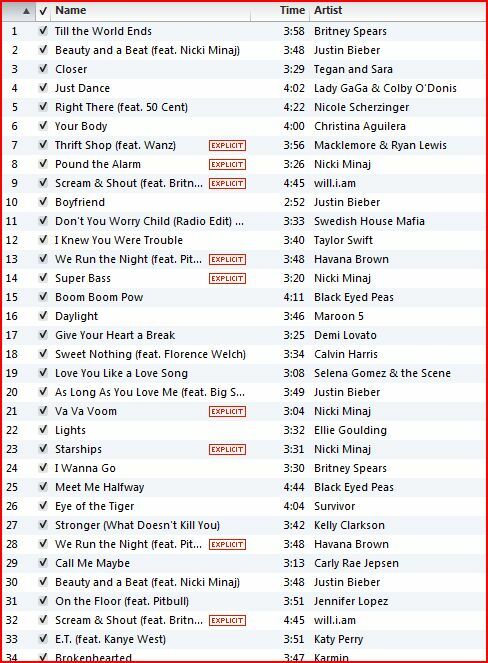 Below’s the playlist I’ll be listening to when running the Surf City Half Marathon this Super Bowl Sunday. Hope you get some ideas from this. Enjoy! And good night.